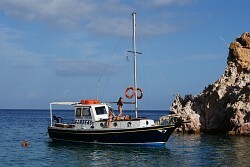 Our boat trips on Perseas are very popular, but of course you don't have to stay with us to go on them. Even if you stay somewhere else, you'll be welcome on board. Andreas has travelled these waters as a fisherman for years and will gladly show you his favourite spots of great natural beauty. 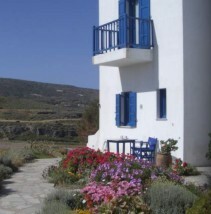 Above all, he'll reveal the secrets of Kimolos' coast and the deserted island of Poliegos with its untouched beaches, mysterious sea caves and breathtaking cliffs. 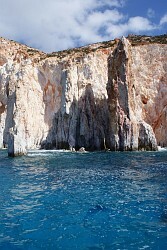 We sail between steep rock faces and bizarre rock formations, which are a burst of volcanic colour. Swimming is directly from the boat or from one of the idyllic beaches, where an appetizing barbecue awaits you. 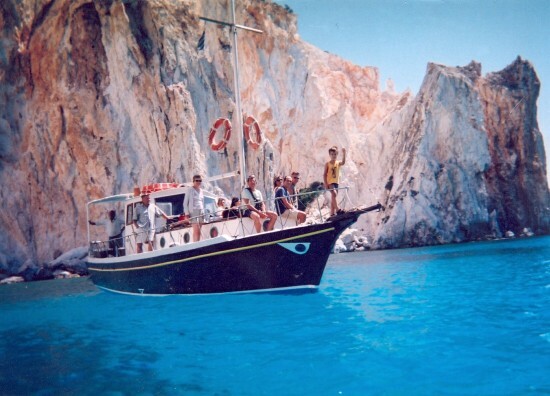 We took over and completely renovated Perseas in 2007, making sure she was suited to modern needs. 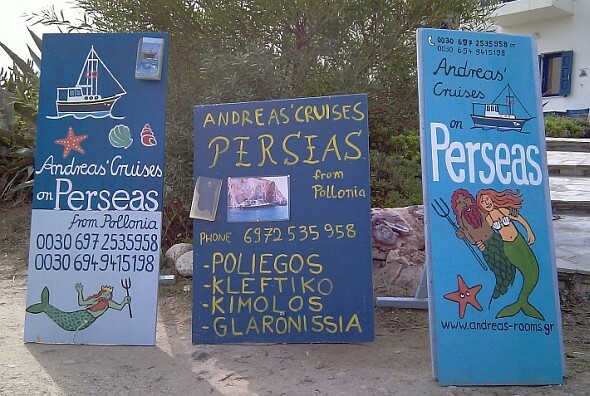 Andreas has a full licence from the Milos Port Police and has passed their rigid tests, allowing him to transport people and take them on excursions. Naturally, Perseas has all the necessary safety requirements.